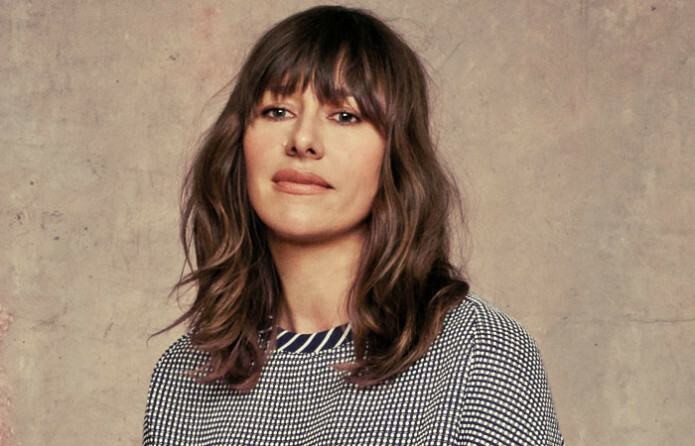 Stylist to the stars and London Native, Penny Lovell, knows a thing or two about fashion; styling celebrities like Anne Hathaway, Chrissy Metz, and Rose Byrne to name a few. Her knack for styling and fire for social justice brought us the cozy sweatshirt dress featured in our 2017 Dressember dress collection. Selfishly, I’ve always wanted a nice sweatshirt dress so really I designed it for myself. I love a comfortable dress. When I was participating in Dressember in 2016, I kept wishing for a sweatshirt dress that would be easy and comfortable and could be dressed up or down. Fortunately, I got to make that dream come true. There are many, but right now I really like Marc Jacobs -- how he takes sportier pieces and dresses them up, mixing them up. I like anything that mixes unexpected elements like sportswear and rhinestones. I like that you can do that with this dress that I designed -- with rhinestone pins or a lace shirt underneath. I like vintage a lot. I get very inspired by vintage -- the 70s right now are very interesting. It checks all my boxes. I love the creativity. Of course, I love the message and what it stands for, and all that it helps achieve. I love that there’s an element of fun; the idea of helping people while doing something so simple. We have to get dressed every day, so why not get dressed in a way that helps someone less fortunate than us get help? I just think the whole idea is really amazing. Hillary Clinton because of her strength and her bravery, her unrelenting pursuit in the face of so much misogyny and resistance. What she put up with--in my opinion, because she’s a woman--is incredible. She showed incredible strength and dignity, and is so inspiring to me as a woman and as a person who cares. I wish I knew to believe my intuition more and had been more confident in my own intuition. That, and there are many ways to achieve something; many unexpected things that turn out to be a blessing. There’s not just one right path; it’s good to be open. There’s not a lot I haven’t done in a dress! We owe Penny a big thank you for designing a dress that we (literally) want to live in. "The Penny" has been flying off the shelves at Elegantees garment factory in Nepal & we can see why. One week left to pre-order yours at 20% off retail price. And thank you to the five inspiring women who designed our 2017 Dressember dress collection for using design and creativity to bring dignity to survivors of trafficking. We can't wait to see you rocking their designs this December.